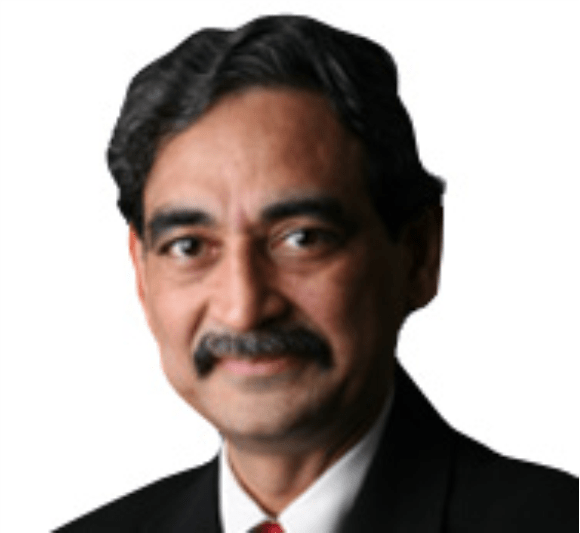 The purpose of this interview is to know more about the journey of Dr Ashok Johari who is a pioneer in paediatric orthopaedics in India and in the world. This interview aims to catch a glimpse of his life and times and also showcase the rise of paediatric orthopaedic as an independent faculty in India. A broader objective is to attract people to paediatric orthopaedics and to have pride in our own people who have done exceptionally well in reaching international acclaim in respective fields. AKS: Let me begin by asking you about your family background. Tell us something about your family and where you grew up? ANJ: My father, Dr. N.K. 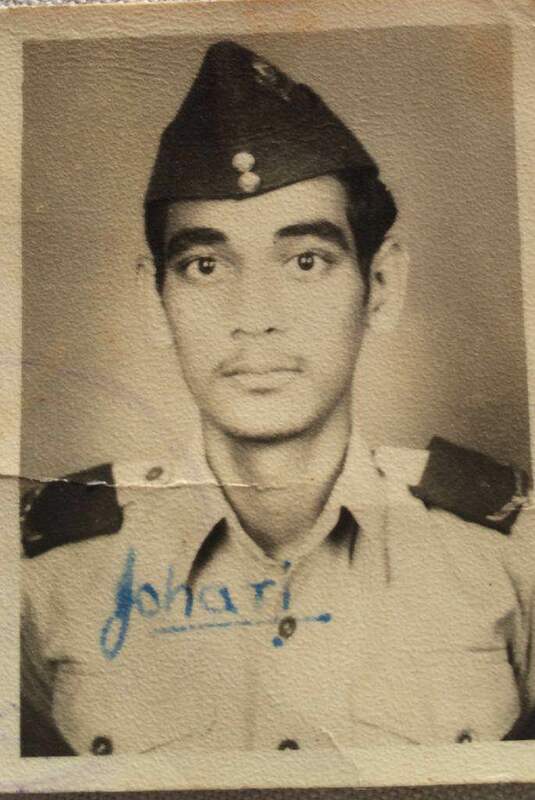 Johari was an anaesthetist and my mother was a house wife. I was the only son among four daughters. One of the big aims of my father’s life was that we should be very well educated. He was a disciplined person himself and was particular about our studies and felt that we should do well in our exams. Not necessarily get first rank, but should get good education. He also focussed a lot on our extracurricular activities. One routine which is very interesting, which I would like to share. I had school weekly off on Thursday and my father insisted that I be with him on that day. He would go to different hospitals and take me with him to operation theatres (OT). He would want me to simply watch what is happening. I have these memories right from my age of five when I would stand on stools and watch surgeries in operation theatres from morning to evening. If on Thursday he didn’t have OT, he made sure that I was involved in some or the other work like washing the car, servicing the scooter etc. Everything had to be cleaned in the cars, carburettors had to be removed and cleaned. This helped me learn discipline from an early age. My family was of medium means, though two generation ago we were quite rich. Our family were Jagirdars from Bikaner in Rajasthan. Once the Jagirdari went away, we were jewellers to all the princes of Rajasthan and South India. However somewhere things went wrong and by the time my father was young, most of the wealth had disappeared and my father had to work very hard. So I always had great respect and appreciation for him. He came to Mumbai for medical education and then stayed back here. I was a sickly child specially bronchitis. Sometimes I used to get status asthamaticus and my father used to give me deriphylline drips, oxygen, everything at home. This also brought me in contact with doctors other than my father and that is the time I decided to become a doctor. AKS: In fact our next question is on the topic of how did you decide to become a doctor, how did you get the inspiration? ANJ: My father was my first inspiration. Vising OT’s and watching surgeries over the years developed interest and then being a ‘sick’ child I came into contact with many other doctors. These are the factors that influenced my decision to become a doctor. My father was not very keen on me becoming a doctor. Although he would take me around for cases, but he realised that the profession was degrading in someways and he did not want me to join medicine. I had to literally fight with him to enter medical college. In fact I said that if he did not want to pay the fees, I would raise money but I would definitely go to medical college. I was in a technical school and from very early in life I had resolved to become a doctor specially influenced by watching surgeons in OT. These surgeons were associated with a lot of ‘Drama’ and glamour which really attracted me. After my 7th standard I had to opt out from normal school to go to a technical school. In our school we had this system of cumulative record. Our whole academic records were entered and we were asked our ambitions in life. Everywhere in my cumulative record my ambition is written as ‘I want to become a doctor and specifically orthopaedic surgeon’, right from my 8th standard. I topped the school and went to Jai Hind College and then entered medical college. SP: Which medical school did you go for your MBBS. ANJ: I went to Grant Medical College (GMC), JJ Hospital, Mumbai. I had a sort of connection with GMC from childhood. My father was a honorary professor at GMC and I had frequented the college since a very young age. I liked the campus very much specially the old building. My father was a medical student at GMC in 1940’s. He had clicked tons of photographs of the GMC campus, college buildings and old buildings from that era. We displayed these in an exhibition in 1976 organised by me in GMC called EXPO -76. I used to be the Magazine Editor then. I used to see these pictures in my younger days and had decided that I would go to GMC. So I did my medical school at GMC. AKS: During medical school were there any influences that helped or formed your career? Why did you choose orthopaedic surgery? ANJ: As you know I had already decided on orthopaedics long back, especially the drama and the glamour of orthopaedic surgeons attracted me strongly. While in third year of my medical school, when I was scheduled for the orthopaedic posting, Dr Joshipura was our head of department (HOD). On the first day he asked, ‘Who wants to become an orthopaedic surgeon’, and rather naively I raised my hand (laughs). From that day, I had a bullseye marked on my back and was targeted for everything. 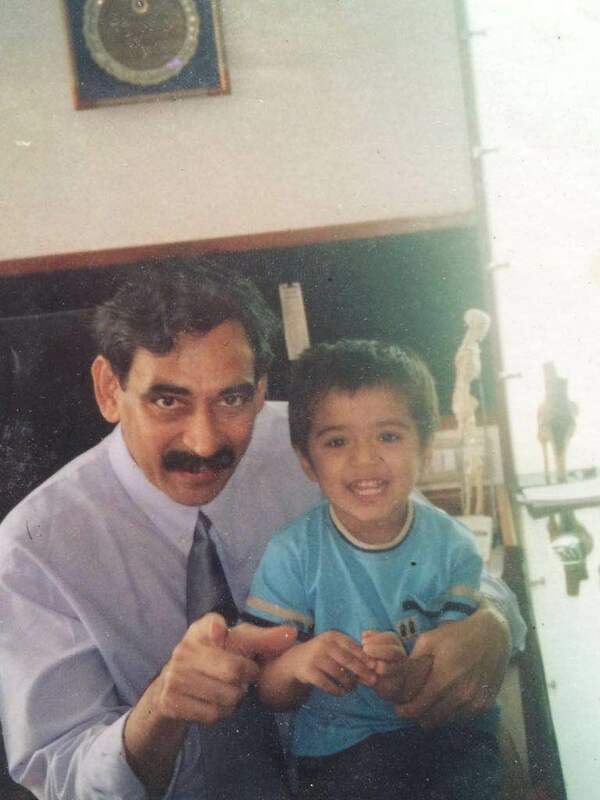 Dr Joshipura would ask me questions on anatomy, pathology and orthopaedics all the time and would comment ‘You want to be an orthopaedic surgeon and you don’t even know this!’ I realised that it was with a good intention but I really felt pressurised to the extent of mental agony (laughs again). Suddenly something happened and in the middle of my orthopaedic term, Dr Joshipura disappeared. Later we came to know that he had a tussle with the dean. The dean wanted him to come to his office to see a patient and he said that he was on rounds and insisted that the patient be sent to him to be seen after the rounds. On this point there was some argument and he resigned from the college. 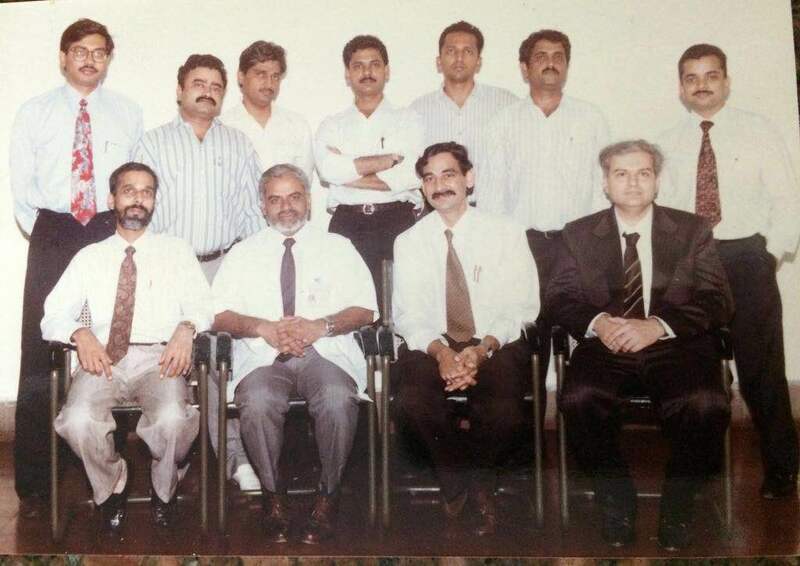 JJ Orthopaedics in the mid 1990’s- sitting on the left, Dr. Shakir Kapadia, Late Dr. D.G. 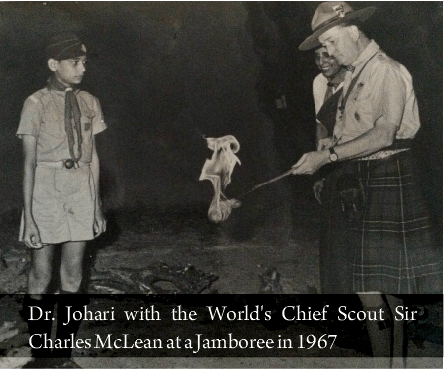 Dongaonkar, Dr. Johari and Dr. Sudhir Joshi. 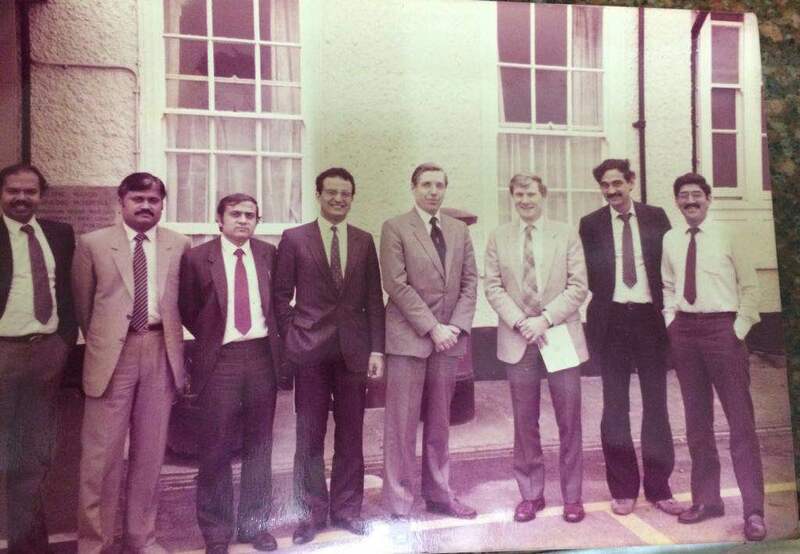 Standing extreme right is Dr. Sangeet Gawhale and standing second from left is the late Dr. Sanjay Jagtap. Dr. Dongaonkar was subsequently also the Dean and then Vice Chancellor of the Maharashtra University of Health Sciences. AKS: So who would you say, once you started orthopaedics as a registrar, were your early influences? 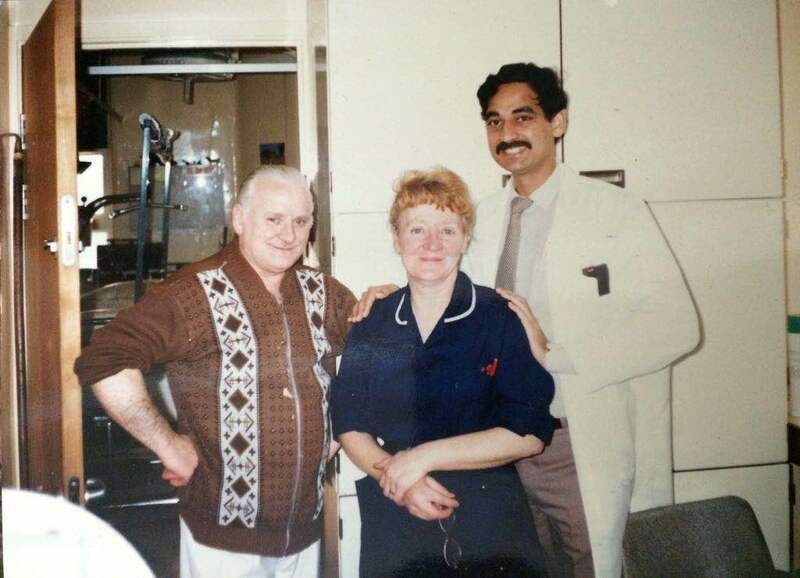 ANJ: By the time I came back for my residency Dr Taraporewala was the chief of orthopaedic surgery at GMC. But we got a chance to see all the great surgeons including Dr Masalawala. Especially on Saturdays when we had these Saturday departmental conferences at GMC where all people connected to the institution would come. Dr Ugrankar, Dr Kawarana etc and all the unit chiefs along with HOD. This gave us lot of opportunity to interact with these people. 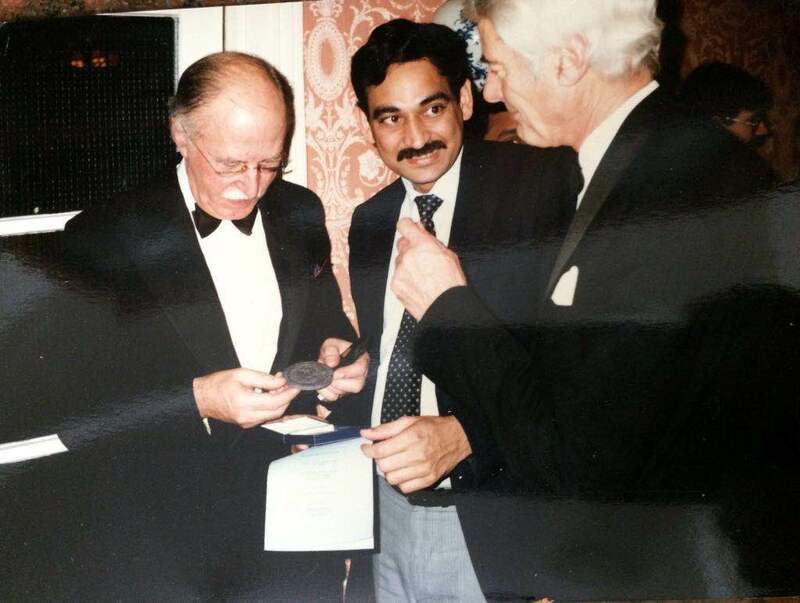 Dr Masalawala was at that time very well recognised, he had been the past president of Indian Orthopaedic Association. He was pioneer in tuberculosis of spine and had the largest series of around 400 cases (this was in late 70’s). He published that in Indian Journal of Surgery. These Saturday interactions allowed us to connect with these giants of Orthopaedics in India and learn first-hand from them. I did two terms one in orthopaedic surgery and one in general surgery. For general surgery we always preferred to go to St. George’s Hospital to work under Dr Kumbhani. He was a general surgeon turned orthopaedic surgeon. He was appointed as a general surgeon but did only orthopaedic work. There we would learn general surgery from other surgeons in the unit and do orthopaedic work with Dr Kumbani. In general surgery we got training in abdominal surgeries, appendectomy, hernia repairs and other common procedures which was quite helpful in life even later. Along with that we had advantage to continue doing and learning orthopaedics with Dr Kumbhani. 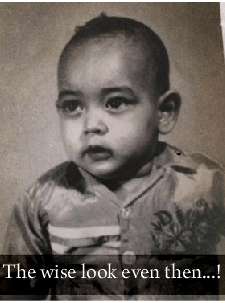 AKS: You were pioneer in Paediatric Orthopaedics in India? Tell us something about the Story? – Why did you choose it? ANJ: This is an interesting story and many incidents happened serendipitously for me to land up as a paediatric orthopaedic surgeon. After my two house posts, there was a six month wait for the registrar post and instead of waiting and going back to JJ Hospital, I decided to join the Children’s Orthopaedic Hospital (COH) at Haji Ali, Mumbai. At that time there was this unique personality there, ‘Dr.Perin K Mullaferoze’ who was the HOD at COH. She was an intimidating lady orthopaedic surgeon and was a battle scarred war veteran. She was a Lt. Colonel in the British army and had fought in World War II. She had seen action in Middle East and Unified India which extended till what are now Afghanistan, Pakistan and Bangladesh. She was an authoritarian lady and she was also the HOD of orthopaedics at JJ Hospital prior to Dr Masalawala. She was the second HOD of Orthopaedics in JJ, but she left JJ and concentrated completely on children’s Orthopaedics, specifically cerebral palsy. So in effect she was the first paediatric orthopaedic surgeon in the country but focussed on very limited diseases. She was around 70 years of age when I joined. AKS: This was in which year Sir? ANJ: This was in 1980 and I instantly liked working in paediatric orthopaedics. I was very fond of children and used to play with kids. At that time there were lot of polio cases who visited us at COH. Treating polio had a very rational approach – like if we did a particular intervention the outcomes would be as expected. The disease as well as the management could be all very well explained by biomechanics and anatomy. I very much liked this rational – logical approach. I worked there for 6 months as a registrar before I returned back to JJ. I had a very good learning experience with Dr Mullaferoze. She was very particular about certain things like applying plaster. For her, the plasters should be very comfortable to the patient and well padded. She was very good surgically, especially older surgeries of poliomyelitis, arthrodesis etc. By the time I went to COH, she was already in her 70’s and had stopped operating, but we requested her to come to OT and she demonstrated surgeries to us. So my time at COH actually build the resolve in me to pursue paediatric orthopaedics. Although it might be surprising that I had a bioengineering background and was very interested in biomechanics and joint mechanics. I had already done advanced work in tribology and joint replacement. I did summer workshop on tribology at the Harcourt Butler Technological Institute, Kanpur. UGC used to hold this workshop which I attended during 1979. Joint replacement was a good upcoming field but I felt it won’t give me the challenges and the variety which paediatric orthopaedic would give me. Also my aptitude was for paediatric orthopaedics. For example if you see even now, paediatric orthopaedicians are more academically oriented, more studious, and soft spoken. They take their own time to do things, they mix with people, and they mix with children. Ego problems are also not many among paediatric orthopaedic surgeons. To be with children you have to be like children and let go of your ego. So I believe I was much more inclined to be a paediatric orthopaedic surgeon than anything else. AKS: Did the specialty of paediatric orthopaedics exist in those days in India? ANJ: No the speciality did not exist in those days, it was all general orthopaedic surgeons who did the paediatric work. COH was specialised in paediatric orthopaedics, started basically to deal with polio. So with polio it started dealing with other children orthopaedic problems. With decline of polio, it started dealing with cerebral plasy (CP) too. It became the first centre in India to deal with CP and one of the foremost in the world. In 1961, Dr Mullaferoze went to USA to study cerebral palsy. There was this PL-480 scheme that funded her. It also funded the setting up of the cerebral palsy centre at COH in1963 by the Americans. So the speciality of paediatric orthopaedics did not really exists in those days, but there were people who did major work in paediatric orthopaedics. But this was not exclusive work and they continued to do adult orthopaedic work too. For example Dr MG Kini, was one of the senior most orthopaedic surgeon who did lot of paediatric work and had published papers on the same. 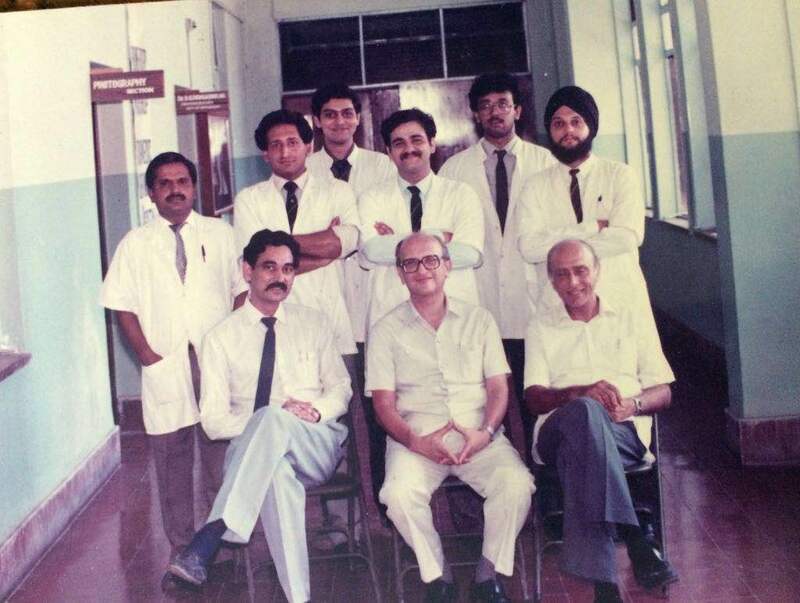 Dr Mullaferoze and Dr Dholakia worked as assistants to Dr Kini at COH. Dr Kini was HOD at Chennai and after his retirement he was invited to be director at COH. He was one of the first qualified orthopaedic surgeons, first to have an orthopaedic degree in India. He went to Liverpool and did his MCH and came back to start practising orthopaedic surgery exclusively. In later years he did a lot of paediatric work but not exclusively. ANJ: Yes correct. 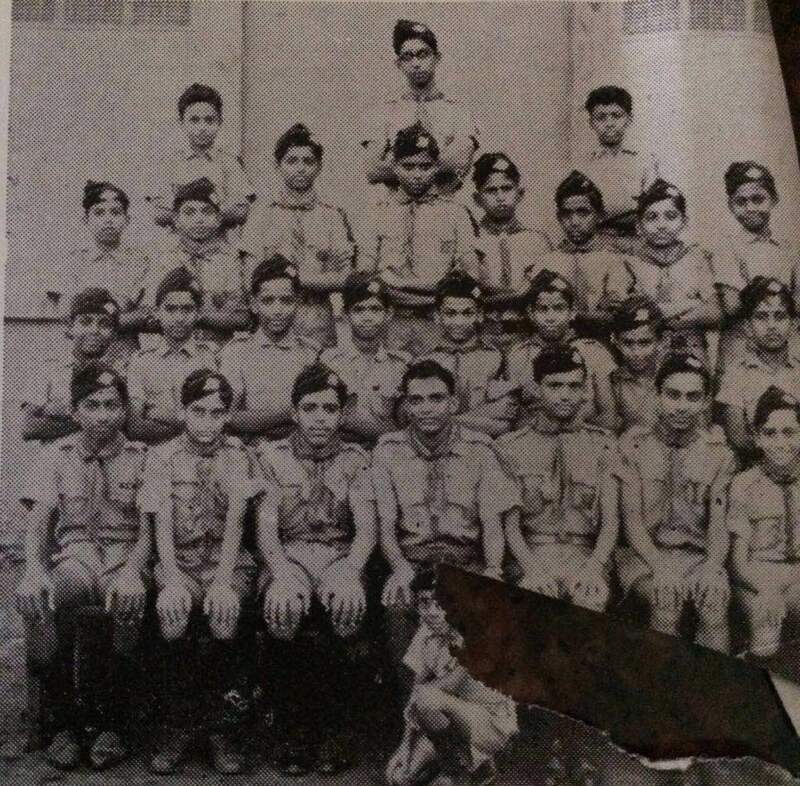 He worked in Bombay at COH and when he retired Dr Mullaferoze took over from him as the director. Dr Dholakia was visiting consultant at COH, until he became full time consultant at Bombay Hospital. So the speciality definitely did not exists in those days as we see it today, but I was determined to pursue it. I continued to look for opportunities in paediatric orthopaedics and luckily in 1984, I came across an advertisement in Indian Journal of Orthopaedics (IJO). The advertisement was about a fellowship in paediatric orthopaedics in Japan. Fellowships were unheard of in those days and it was very difficult to get one. I only knew a fellowship in hand surgery in Singapore and a spine fellowships in Hong Kong. Prof. Marwah was HOD of Orthopaedics and Dean at Nagpur GMC and had connections with surgeons in Japan. He was also the President of Indian Orthopaedic Association at that time. A famous Japanese children’s hospital offered a fellowship to Dr Marwah, to send a young person for training to Japan and Dr Marwah placed an advertisement in IJO, which I came across, fortunately! I responded to the fellowship and sent him my CV and by good luck I was selected from a number of applicants. I got a call from Dr Marwah to be ready to go to Japan. Going to Japan was not going to be easy, as I understood that Japanese do not speak English and it was clear to me that I had to learn Japanese. I came to know about the confirmation for fellowship around 9 months before I had to actually leave. I utilised this time to learn Japanese and when I reached Japan, I did an intensive course in Japanese language. This enabled me to converse in Japanese. Writing Japanese was very difficult and takes years to learn but I learnt enough to at least converse with surgeons and patients. I was a lecturer at Sion hospital at that time. I finished my MS in 1981 from JJ and in 1982 I finished my registrarship. In 1982 I got the opportunity to be a tutor at Sion hospital. I was then lecturer at Sion where I would do trauma, spine, paediatric and also arthroscopy. Surprisingly I did lot of arthroscopy at that time. It was I, who actually discovered that Sion hospital has an arthroscope which no public hospital had! I was fooling with our OT sister and rummaging through her cupboard when I found a Karl Storz box and I was told that this was an arthroscopy set ordered by Dr. Pandit. Dr Pandit was the HOD and had retired, so probably the arthroscopy set came after his retirement and nobody knew about it. So I started using the arthroscope and did lot of arthroscopies. Once I got opportunity to do paediatric orthopaedics in Japan, things started to turn positively toward paediatric orthopaedics. The spectrum of disease in Japan was quite different from that in India. There the focus was on early detection, braces etc. Surgeries were performed but only for different diseases like osteogenesis imperfecta etc unlike the neglected and complex cases that we had in India. But my time in Japan gave me an introduction to paediatric orthopaedic world. 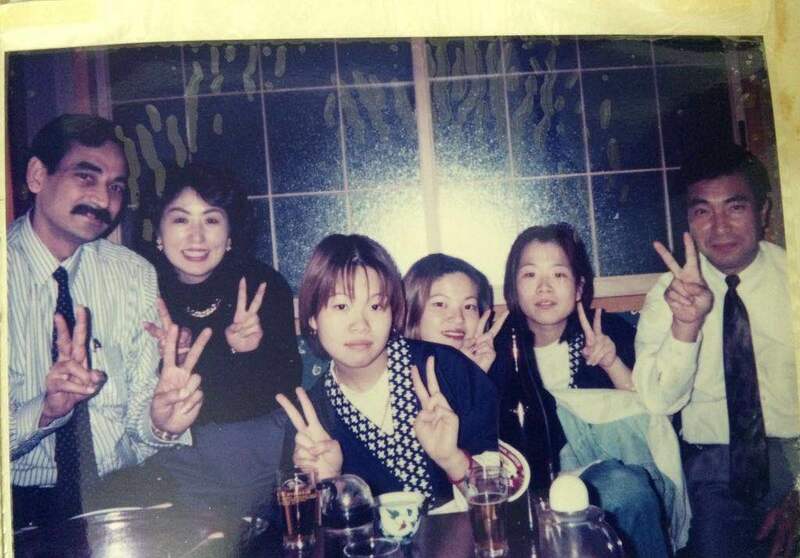 1985, Yokohama, Japan, with friends for life! When I came back to Sion Hospital in 1986. my boss, Dr. S.S. Vengsarkar had resigned as HOD and Dr. N.S. Laud had taken over. Both encouraged me a lot. Dr Laud allotted me a side room with six paediatric orthopaedic beds. I told him that I wanted a separate paediatric orthopaedic OPD and he graciously agreed. We started this paediatric orthopaedic OPD in early 1986 and it was the first paediatric orthopaedic unit in any teaching hospital. We interacted with other paediatric faculties also. It was a flourishing OPD and was held every week. Apparently this OPD was later taken over by Joy Patankar later on. During this time in 1986 there was an advertisement for a post in Wadia Children’s Hospital for which I was selected. I had already completed 4 years in Sion by that time and so I decided to leave in 1987. I gave my resignation in February 1987. Dr Dalal who was the dean at Wadia hospital requested me to take up Dr Kumbhani’s OPD. I was not yet relieved from Sion, but I accepted the offer and started attending OPD from October of 1986 till February of 1987. In February I was relieved from Sion and started working at Wadia full time. Another peculiar thing happened in February of 1987. There was a conference in Mumbai arranged by Dr Dholakia, named ‘Surgery in the Tropics’. Prof. Robert Owen from Liverpool University came for this conference and we were scheduled together for a symposium on Perthes disease on which Dr. Dholakia was also speaking. I was to speak on etiopathogenesis and Prof. Owen was to speak on the surgical aspect. Since I was very interested in paediatric orthopaedic I was continuously reading and before the conference Liverpool group had recently published their work on etiopathogenesis. I went through the paper and prepared my presentation. Prof. Owen thought that no one from India would be knowing about the study and so included some 20 slides of the etiopathogenesis in his surgery lecture, but then he had to rush through them as I had already covered them in my lecture. After the symposium was over, he asked me if I was interested in doing M.Ch at Liverpool. I did want to go to Liverpool but I said I would come only if I got a registrar job which could sustain me. I told him that I can’t come only as a student, pay fees and attend the course. He promised that he will do something and true to his promise he wrote back in 10 days offering me a student position for M.Ch. I again wrote back requesting for a job with the M.Ch. I got a reply from him inviting me for an interview for a job. He said if the interview board decides to give you a job, you can do both M.Ch and the job. In the interview they already had my CV, I had Japan experience and 5 years’ experience at Sion and Wadia hopital. Prof. Owen had retired but attended the interview board. I had opted to stay in YMCA dorm which was near the bus station of Liverpool. After the interview I was returning back to YMCA when somebody followed me and asked me to call on a number. He said Mr John Taylor wanted me to speak to him. Mr John Talylor was senior consultant and was chief of orthopaedic surgery at Alder Hey hospital. When I called him, he invited me for dinner, to which I gladly agreed. He took me to his house and he congratulated me on getting the job. He said this is the first time we are appointing anyone directly from India. We have given you the most prestigious job in Liverpool. I returned back to England in December 1987 to get used to the system. I had very good time at Liverpool. I had alternate day emergency on call and everyday 2 hours classes. This was quite a hectic schedule with almost every other night going on till late with surgeries the next morning and then followed up with OPD. There were classes every day and class assignments too. Fridays’ were totally off to attend M.Ch schedule where we had classes, visits to other hospitals, case presentations, workshops etc. I was seven years post MS and had maturity to grasp most of the things. So these two experiences, in Japan and England added a lot to my understanding. Some things are very different at these places specially their approach to education. For example if I had to use the library at Japan at the Yokohama Children’s Medical Centre(where I did my fellowship), I had to simply ask the keys from the security. I could go to the library anytime and read. If I had to borrow a book, I simply had to write my name in the card and drop in the box and take the book. In UK, if I needed any literature, I would simply ask the librarian and they would provide me with everything. This was unheard of in India at that time and it was extremely difficult to get literature. We had to visit many libraries and beg for articles and many a times they won’t have the article. When in UK, I continued my thesis on septic hip which I had started in India and wanted to make my M.Ch thesis. In India I did not find much literature and so I prepared my classification etc for the same. But in England while referencing and cross referencing I came across an article by Hunka on the topic. It wasn’t very popular article by somewhere in cross-referencing it was mentioned as Hunka’s criteria for septic hip. Then I knew that he had already published a classification in 1982. The experience at Liverpool was very helpful and I believe a good impression was made of Indian students. I had a good experience already specifically in polio, so if anyone was stuck on some of these rare cases they would call me. Prof Klenerman was a great foot surgeon who worked at our hospital and whenever patients of polio would come to him, he would call me for opinion always. This created a good impression and probably made easy for future guys to join MCh. These experiences helped me a lot in grooming myself into paediatric orthopaedics. SP: How was the journey when you came back? AKS: Did you ever think of staying back in UK. ANJ: Somehow I never wanted to stay back in UK. They had good impression of me and would have created an opportunity for me, but I felt a bit misplaced there. Misfit in the sense you have to be always in your best behaviour and use fork and knife etc [laughs]. I always thought I belonged here and I didn’t want to stay there. 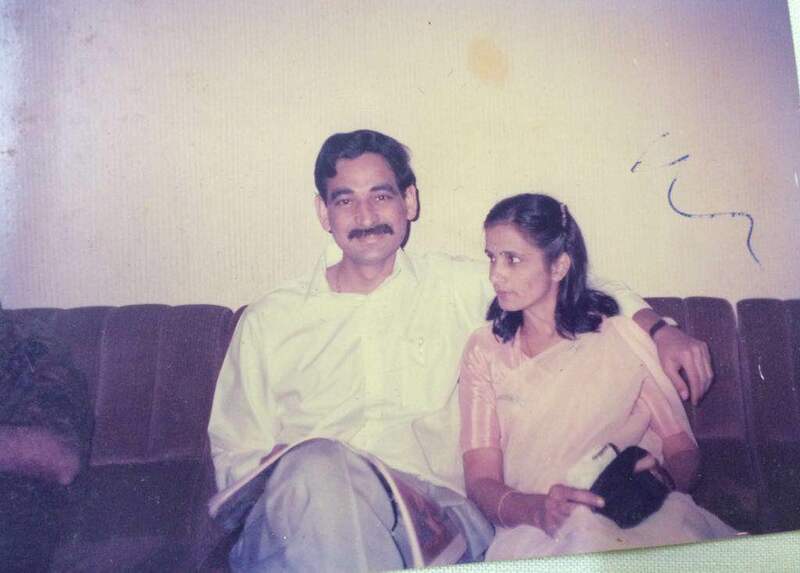 Dr. Johari with his wife Dr. Usha, an ophthalmologist …Through thick and thin, together!